We’re a small shop based out of sunny, amazing Miami. This website is more than a business - it’s a passion project. We sell a few shoelaces here and there, but it’s really about pursuing the life we love. We hope this website does the incredible sneaker community proud. Our offices are located in Downtown, Miami. “Laces Out” started when my girlfriend spilled coffee on my Air Jordan 1s, covering the sneaker’s body and staining the laces. I was able to lean the body of the sneaker with some products around my apartment, but the laces were ruined. 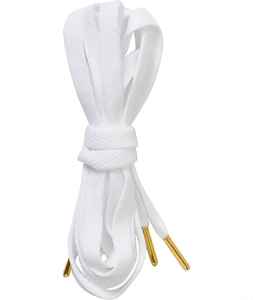 It’s incredibly difficult to remove stains from white shoelaces, and to be honest, it’s not worth the effort. So, I went online to find a pair of replacement laces….I found nothing. Not a single vendor that sold the exact size, length and shape as the OG sneaker. I’m a sneakerhead – I refuse to put laces into my OG kicks that aren’t the exact same. Instead of changing the look of the my shoes, I measured the exact length, width and size of the original laces and sent them to a manufacturer to be made. I shared this story on Facebook and things snowballed. A small Amazon store turned into this incredible online community dedicated to lifestyle and sneaker culture. Make sure to follow us on Facebook, Instagram and subscribe to our email list. We stay ahead of the sneaker industry to keep you informed.